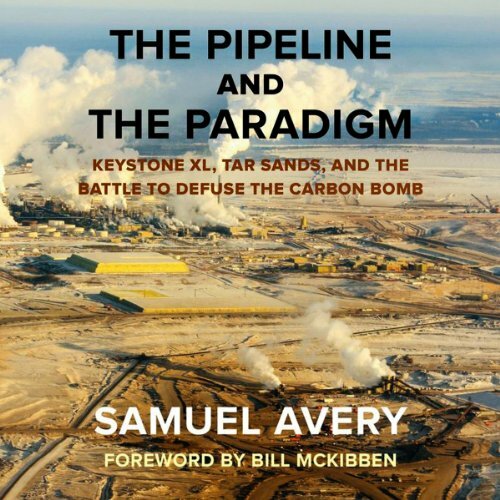 This thoroughly researched and wholly engaging book investigates the economic, ecological, political, and psychological issues behind the Keystone XL pipeline - a project so controversial it has inspired the largest expression of civil disobedience since the Civil Rights movement of the 1960s. With enough carbon trapped in the Canadian tar sands to plunge the Earth into irreversible climate change, it is the Keystone XL pipeline that will set that carbon free. The debate rages on over whether this 2,100-mile long steel pipeline is a vital piece America's energy future or the conduit for global climate disaster. From the enormous tar sands mines in Alberta to a tree-top blockade in Texas, this book introduces the people and explores the competing interests that power the environmental issue of the current generation. Time well spent. We should always try to see things through other's lenses. What was one of the most memorable moments of The Pipeline and the Paradigm? Learning how to view our connection with the earth. I found myself in a relaxed state while listening. Very good. What about Andrew Mulcare’s performance did you like? His performance was great, he was a pleasure to listen to. Did The Pipeline and the Paradigm inspire you to do anything? Begin thinking in terms of how I can balance my life more. Facts are taken completely out of context. Most if not all figures are explained by violating acceptable statistical reporting methods thereby painting an incorrect picture. An attempt appears to have been made to include both sides of the story, however, not successful. Claims focused on some groups are not supported and very possible false. Better cleaner cheaper systems are needed, not getting arrested. A waste of time. Never mind.